The winners of our 2012 WeatherBeeta promotion have been decided! Congratulations to Monique Dutton, Chantel Hart, Meggz Boughton and Nikki Richards. 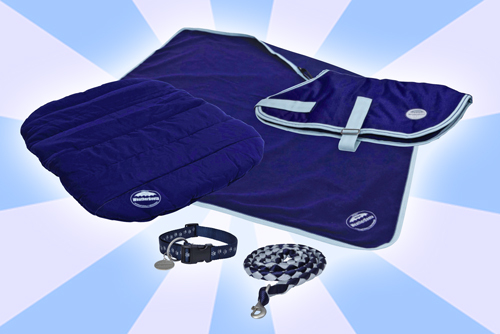 They have all won a WeatherBeeta prize pack full of goodies that their pet is going to just love. Why does your pet deserve to win? Monique Dutton: Buttons is 16 years old, going blind and deaf, yet he still manages to make me laugh everyday :) I love buttons. Chantel Hart: My dog Ben is my best friend, security guard, room mate and everything in between. I would love to give him something in return! Meggz Boughton: Woof my new alpaca sister could have the jacket, my feline siblings the blanket, lead/collar for my big brother and the bed will be mine. We rescued Silver the day before she was to be put down at the RSPCA at 1yo. She is now 12 and going blind but still wags her tail and runs over whenever she hears the door open. A house is not a home without animals.